Amazon Prime Video has contracted BT Sport and its football production partner Sunset+Vine to produce both its studio and live action match-day coverage of the Premier League. 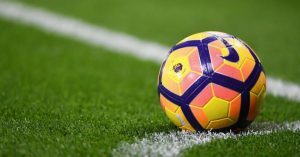 The deal, won via a competitive tender, will comprise of live coverage of two full fixture rounds – the first December midweek round and the Boxing Day round – featuring every Premier League match. Prime Video is an OTT streaming and on-demand service that can be viewed on PCs, connected TVs, and mobile devices.